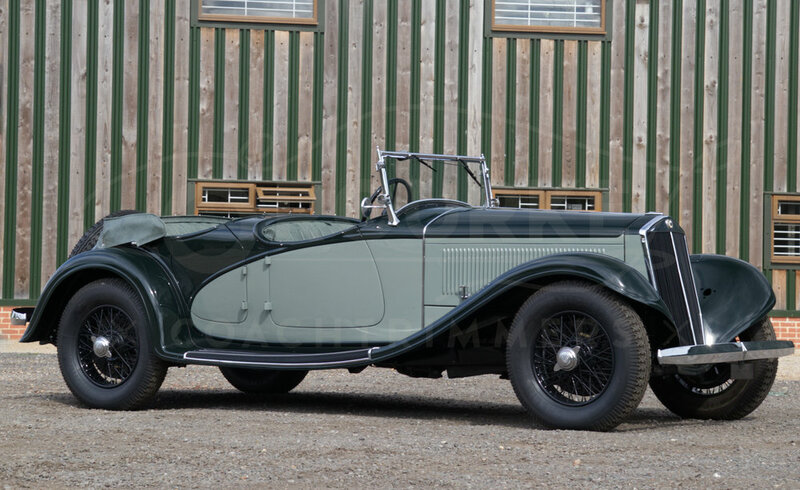 This rare 1934 short chassis Lancia Astura Torpedo Sport, bodied by Viotti of Turin, believed to be one of only six built and four surviving was recently entrusted to us for a full re-trim. Powered by Lancia's own narrow angle 2.9 litre V8 engine with a top speed of 130kph, the Astura was one of the most elegant and most expensive touring cars of the day with the traditional Lancia outstanding road manners. With this in mind only the best interior would suffice, something we feel has been achieved, highlighted by the trophy for "Most Elegant Or Special Interior" at the Zoute Concours d´elegance 2017. This particular car was formerly owned by the Louwman Museum in Holland and the great Italian collector Count Vittorio Zanon of Turin. Mechanically restored in the 1990s in Turin, it has been repainted in its present dark green and sage green livery by Thornley Kelham, then onto us for trimming. The incredible embossed hide supplied by Foglizzo of Turin, using the same stamping presses as they used in the 1920s and 1930s was used throughout, complimented by O'Rourke Supplies sage green Italian wool carpets. 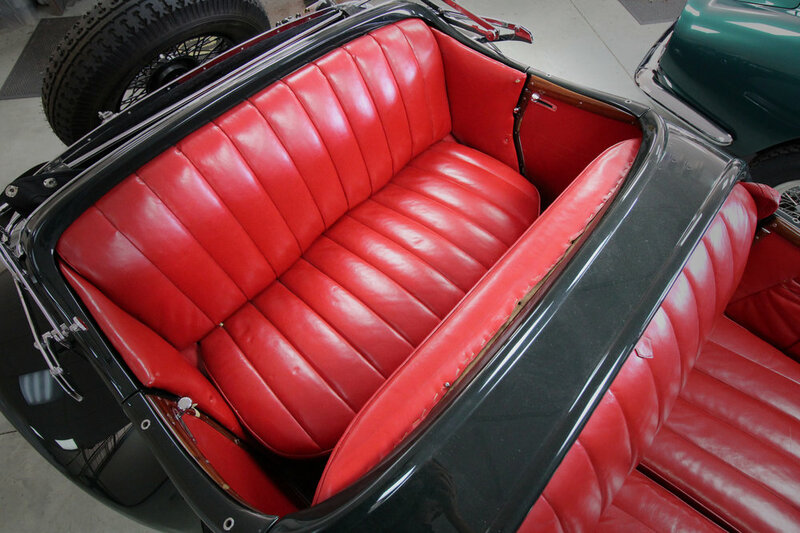 A full interior restoration was carried out, and every effort was made to ensure the details and specification were as period correct as possible, a challenge when dealing with such a rare vintage vehicle made in such small numbers. We used traditional techniques and materials as to not give the interior a modern look and feel. A new hood was created as the non-original one the car arrived with did not follow the lines of the car or hood frame well. A pair of tonneau covers were also custom made along with a hood bag, which was later changed to black hooding material. Incredibly for a vintage car, all the mechanical and body components are original to this car. You can find more pictures of the interior here.